This weeks Photo Wednesday was taken in Seoul Forest, located in Central Seoul close to the Han River. 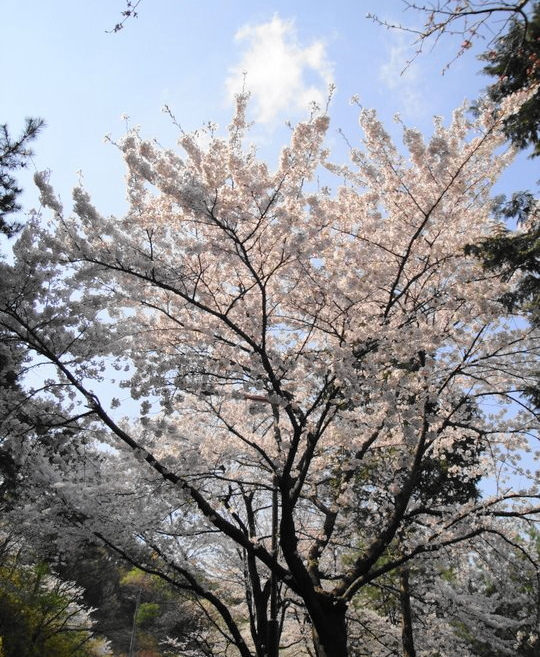 Here in South Korea one of the main events during Spring is the blooming of the Cherry Blossoms (as shown in the picture). It happens at different points in different years but normally starts late March and they last until early May. They can be seen everywhere in South Korea however some areas do host special festivals and events; Seoul Forest, Seoul World Cup Park and Seoul Grand Park all included. Also please note this picture was taken last April, so you haven’t missed this event / sight yet. More details on Seoul Forest CLICK HERE. Last weeks Photo Wednesday – “Suwon Buddhist Temple Entrance” can be found HERE.